Did you know that 70% of aging is 100% within our control? Our sister practice, RejuvaWell, is dedicated to helping clients feel more vibrant and healthier regardless of how many candles they have on their birthday cake. Creating a nexus between internal and external choices in aging. We are PRO-aging, not anti-aging! The idea that we simply age and accept what occurs is not consistent with contemporary health and wellness care. To provide the communities of central Austin with access to Women’s Health, Bio-Identical Hormone Therapy and Aesthetic services. Offering boutique customized solutions to health care in a rapidly changing environment and most importantly, putting the patient and the doctor together like it used to be, without barriers between them and with improved access to quality care and continuity. By bringing Whole Family Chiropractors over to the new space and integrating the clinics, we will be able to offer expanded services in both the medical but also aesthetics arena. People often think of aesthetics as anti-aging, but we like to think of it as promoting aging. We all have choices and how we choose to pass through each decade, and Dr. Paris feels that providing options and supporting patients in their own goals is what is most important. Dr. Paris opened RejuvaWell to be able to provide additional services that she was either referring out for or felt were needed for full body care. Our medical director, Dr. Laurette Smith, is an OB/GYN and our Nurse Practitioners Lexi DeLancey and Courtney Farris can offer general medical and total well-woman care. Services include bioidentical hormone replacement, annual exam and pap smear, fertility testing, endometriosis treatment plans and many more. 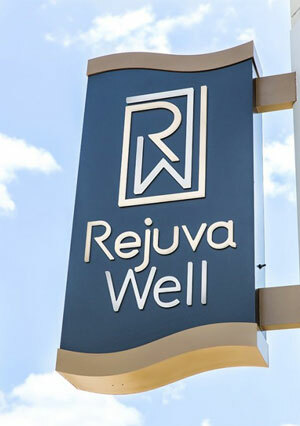 RejuvaWell will be offering in-network primary care services and concierge medicine at the office. So many patients have asked for a good primary care doctor, and we have referred out. Now, with providers on-site, we can instantly have people be seen by a medical provider when necessary. And, to make things even more convenient, we already have your information, insurance forms and chiropractic records on-site. Our two nurse practitioners have been working in family practice for several years and will be on-site for general and wellness medical services. We look forward to helping you experience optimal health and wellness and look and feel your best with our comprehensive array of services. Contact us today to schedule an appointment!